After a 2,000 year moratorium, it is now possible for a Jew anywhere in the world to perform the mitzvah (commandment) of paying the half-shekel, a Biblically-mandated tax incumbent on every Jew to finance the day-to-day operations of the Temple. There are now two ways to perform this commandment: one method for people who can hand-deliver their offering, and another for those who can’t. 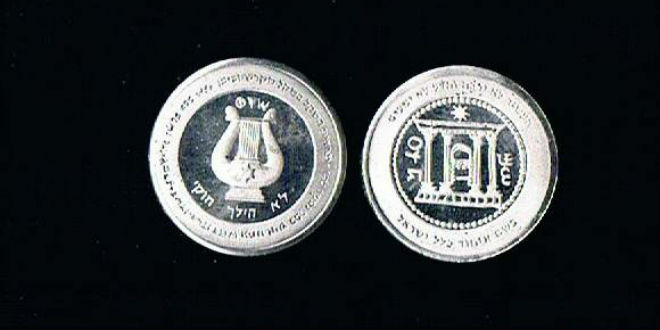 While the Temple was standing, every Jewish man was required to give one half-shekel weight of silver, approximately eight grams of silver (worth about $4 today), as a mandatory tax to support the Temple. Each man was obligated to give the same amount, regardless of his economic condition. The coins, once deposited in the Temple courtyard, were hekdesh (sanctified) and not permitted to be used for any other purpose.